It’s no secret that the cryptocurrency industry has some bad actors; hacks still occur with alarming frequency. Notable examples include the Bitfinex hack on the BitGo wallet and the Mt. Gox hack, which brought down the exchange. Of course, you can’t afford for your nest egg to be exposed to such unscrupulous activity; your retirement savings are critical to your future. That’s why, at BitIRA, we’re obsessed with the security of the assets that you place into your Digital Currency IRA. With our revolutionary solution, we can confidently lay claim to offering our customers “The World’s Most Secure Digital Currency IRA”. Your cryptocurrencies are stored in multisignature wallets, meaning that more than one trusted person (including yourself) must authorize any access to your funds. Additionally, each of the private keys that are required to access the account are held in separate, physical locations, thus further mitigating risk. The wallets for each of your currencies are held on your own custom and encrypted hardware device from Ledger. The device is personal to you, meaning that no one else’s currencies will be on it. It will only be handled if you personally request to execute a purchase, sale or trade. Your personal device is held offline, in cold storage, meaning that no one can access it from the Internet. It will be housed inside Class III vaults at a state-of-the-art depository, with UL & ULC-rated, multi-redundant security systems, and protected by armed guards around the clock — 24 hours a day, 365 days a year. No other Digital Currency IRA company can offer you this. On top of our strict security protocols, if your Digital Currency IRA is compromised, your assets are insured from any type of theft, fraud, mistakes and hacking. Other Digital Currency IRA companies may offer insurance during the purchase process — but not when your cryptocurrencies are in storage. Simply put, you can’t get this type of insurance on your Digital Currency IRA anywhere else. With BitIRA, the entire process to create your Digital Currency IRA is compliant with the CryptoCurrency Security Standards (CCSS). The CCSS promotes adoption of a single and global standard of security techniques and methodologies for cryptocurrency systems. For users of those products and services that abide by these standards, this provides a degree of reassurance. 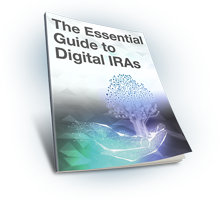 Again, no other Digital Currency IRA offers you this.